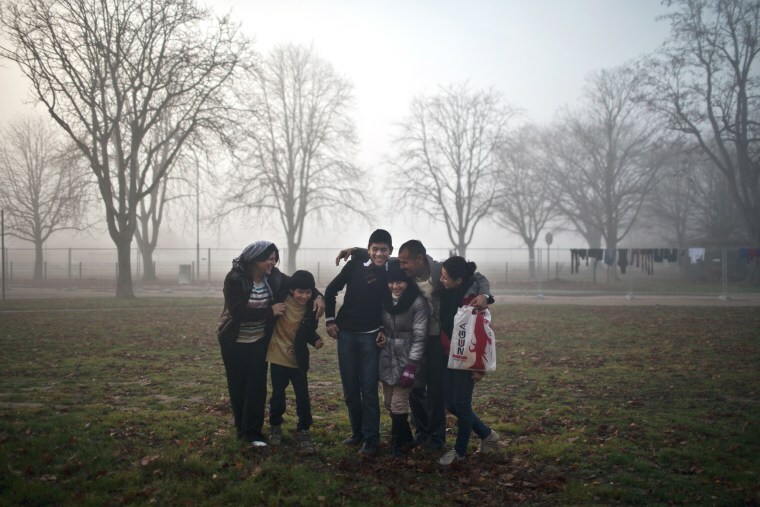 AP photographer Muhammed Muheisen followed a Yazidi refugee family, the Qasus, as they escaped from Iraq and found refuge in Germany. 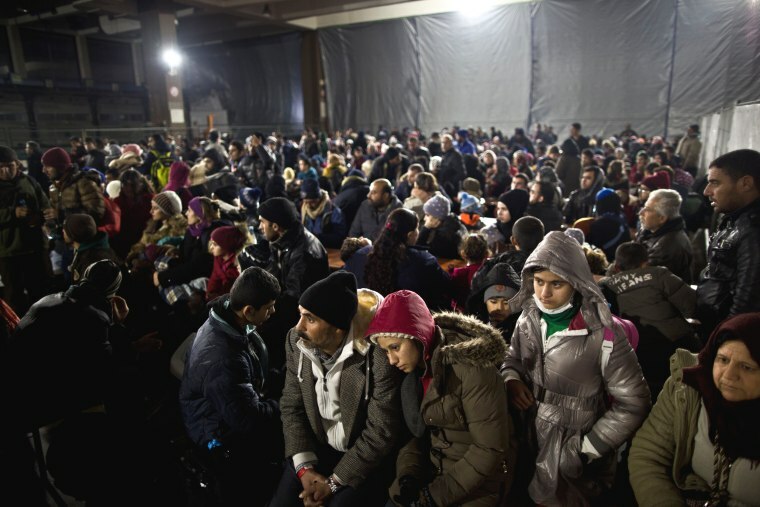 Delphine Qasu, 18, a Yazidi refugee from Sinjar, Iraq, right, is body searched by a German police officer next to her sister Dunia, 10, and her mother Bessi, 42, shortly after crossing from Austria to Germany, in Freilassing on Dec. 8, 2015. Delphine Qasu rests her head on her father's shoulder after she and the rest of the family arrived at a resting point in Mannheim by train from Freilassing, Germany, on Dec. 8. The Qasus escaped as ISIS forces seized the Sinjar on Aug. 3, 2014. 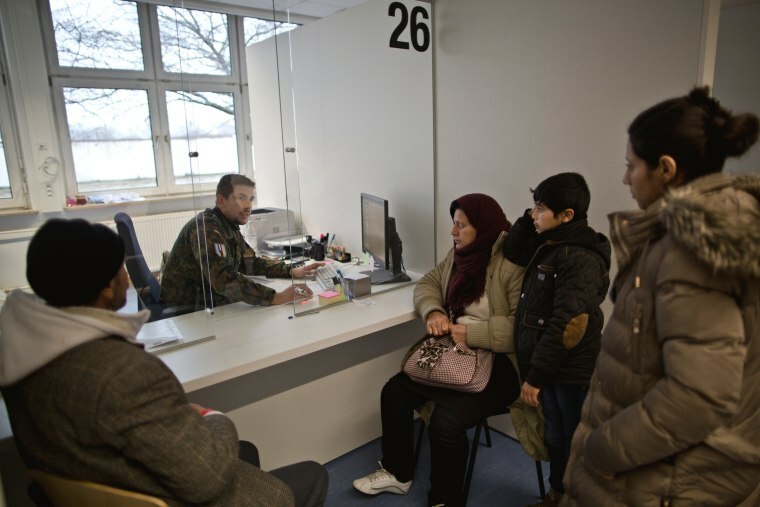 A German army soldier fills in the details of Qasu family as part of their asylum seeking process at the Central Registration Centre in Patrick Henry Village in Heidelberg, Germany, Wednesday, Dec. 9. 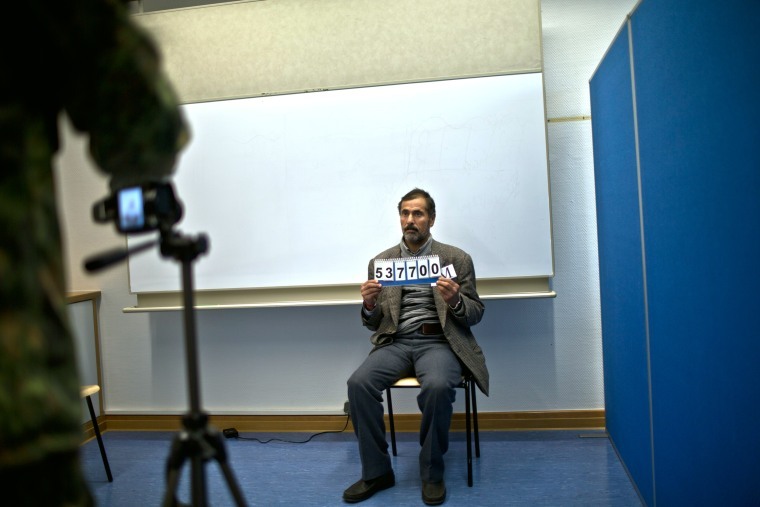 A German army officer takes a photo of Samir Qasu, 45, as part of his asylum seeking process, at the Central Registration Center in Patrick Henry Village in Heidelberg on Dec. 9. The Associated Press reported that the Qasus climbed aboard a truck heading north for the Turkish border after they decided to leave Sinjar, Iraq. For the next 15 months, they existed on the fringe of Turkish society. As a refugee, Samir was barred from working legally and said his children faced intimidation at school because of their Yazidi identity. 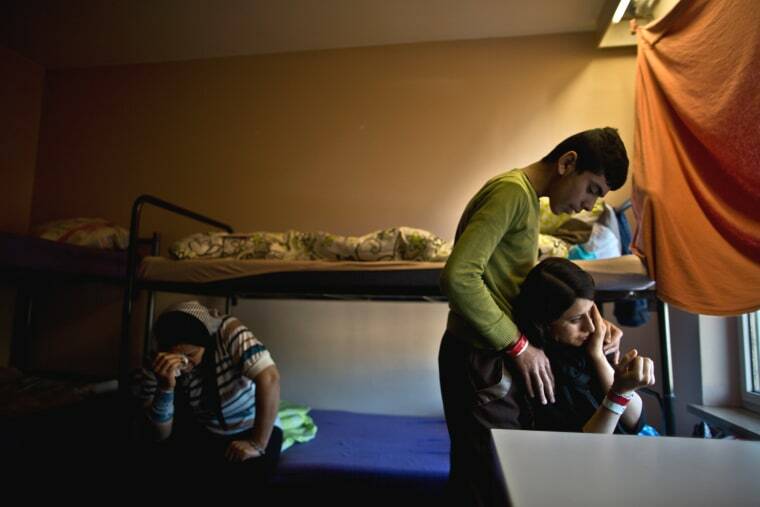 Delphine Qasu is crying and being comforted by her brother Dilshad, 17, after talking about their journey to reach Germany, at their new temporary home at Patrick Henry Village, in Heidelberg on Dec. 10. 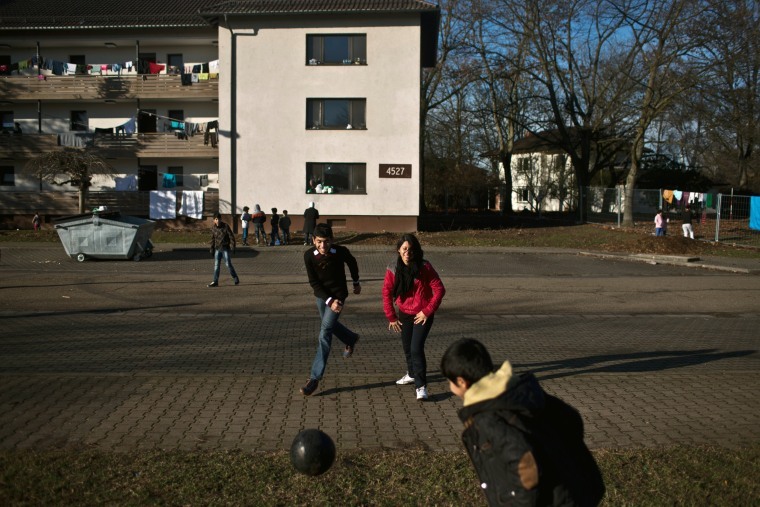 Dilshad Qasu, center, plays football with his sister Delphine and his brother Dildar, 10, near their new temporary home at Patrick Henry Village on Dec. 10. The Qasu family laughs shortly before posing for a picture outside their new temporary home at Patrick Henry Village on Dec. 10. Read more about the story on the Associated Press.